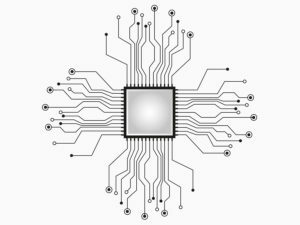 Our electronic materials category includes products for semiconductor, printed wiring board and light emitting diode (LED) fabrication, as well as materials for IC, microelectronics and PWB level packaging. Representative products include solder-paste, conformal coatings, liquid photoresists, photoresist developing, stripping and cleaning solutions, and etching & plating resist inks. Via PhiChem subsidiaries, we also offer a portfolio of epoxy molding compounds (EMC) and solder balls for IC device packaging. Technical data sheets of some of our representative products are provided below. Please contact us for specific information on products listed above, or to discuss a desired product that may not be listed. 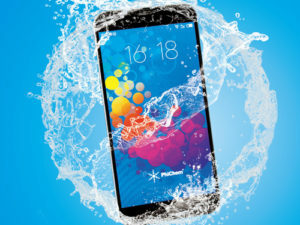 PhiChem KS400 is a fluoropolymer-based conformal coating solution with excellent coating and protection features, such as: waterproofing & moisture-proofing characteristics, fast film forming speed, colorless appearance, and environmental friendliness. It is suitable for applications where high quality waterproofing and moisture-proofing performance is required, particularly for printed wiring boards (PWB). PhiChem supplies high-performance etching and plating resist inks for PWB fabrication, that have high-resolution capability and provide high-yields. PhiChem also manufactures solder-mask materials that are used for fabricating PWBs. 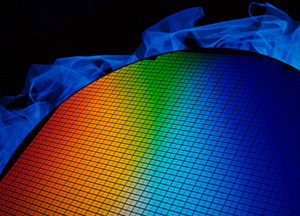 These materials are state-of-the art in the industry for resolution, heat resistance and chemical resistance. 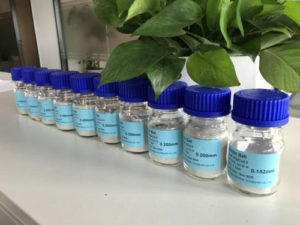 EMC are organic compounds mainly made of silica-filled epoxy resins and phenolic resins, that are used for packaging devices made on semiconductor wafers. By acquiring a 60% share in what was formerly Eternal Electronic Materials (Kunshan) Co., Ltd. (Eternal Electronic Materials), PhiChem has expanded its offerings in the electronics materials product category to include EMC. This new subsidiary of PhiChem, based in Kunshan, Jiangsu, China manufactures high-end EMC materials in standard, low stress and high thermal conductivity grades. Please check back for more information to be posted here on this PhiChem product-line or contact us for immediate assistance. 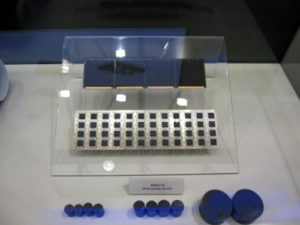 Solder ball technology has been a key enabler for miniaturizing of semiconductor packages. With its recent acquisition of Kaohsiung, Taiwan-based PMTC as a wholly owned subsidiary, PhiChem can now offer a wide range of solder ball products for Ball Grid Array (BGA), Chip Scale Packaging (CSP) and other advanced packaging scheme for ICs. The PMTC product portfolio includes high-end solder balls with Tin-Lead (Sn-Pb), Lead-free and Indium-based compositions. Solder ball diameters range from 0.075mm to 0.76mm and are available in standard, low-temperature, high-temperature and high-purity grades. Please check back for more information to be posted here on this PhiChem product-line or contact us for immediate assistance. PhiChem offers a wide variety of etchants for the wet-etching processes used in IC fabrication, IC packaging and other advanced manufacturing processes. Etchants solutions for metals, including Cu, Al, SnAg, Au, Cr, and Ti, as well as for AI2O3 are available. These etchants also offer selectivity with stable and controllable etching rates. Custom formulations can also be developed. PhiChem’s stripper product-line is applicable for stripping photoresists used in the semi-conductor industry. Our products can be used to strip positive photoresist, negative photoresist, dry film, PI, etc. These products are characterized by low impurities, and high stripping capability. Our developer solutions are applicable in the photoresist developing process used during IC manufacturing. This product provides fast and stable development rates. It can also be tailored to customer’s needs. Our cleaning solutions are applicable in processes used for cleaning photoresist residues, metallic oxides, organic liquids, flux residues, etc. These products have superior cleaning performance and zero residue generation. Tintek LF80 is a high-speed Tin-Ag solution which produces fine-grained, semi-bright and pure plating. The process produces wafer bumps with excellent thickness distribution across the wafer, as well as a uniform alloy distribution. Non-Cyanide Gold Electroplating is an environmental safe Au plating solution, which provides fine metal particles films with a pure gloss. Wafer bumps produced by this solution have excellent thickness distribution and hardness, and the alloy is distributed uniformly. Copper M80 is a methanesulphonic acid-based copper plating solution for wafer-level chip-scale packaging applications, designed for high speed Cu pillars and redistribution layer (RDL) processes.